In the summer of 1941 a resident of Šiauliai, Nathan Katz, and his relatives were imprisoned in the Šiauliai Ghetto. It was there that Nathan met Sima from Kybartai, who shared the same lot. The two young people fell in love. In 1943 when the Nazis started losing military battles on the front, life in the ghetto became ever harsher. Rumour had it that the ghetto would be liquidated and the inmates would be taken to Auschwitz. It was believed that spouses would not be separated and would be taken to the same concentration camp. Therefore, on 23 August 1943 Nathan Katz and Sima were married in a Jewish ceremony in the ghetto. It was a hasty ceremony without the traditional chuppah, with the only traditional thing being the following words that Nathan uttered to Sima: ‘Harei at mekudešes li be’tabaat zu, ke’das Mošė ve’Isroel’ (‘Behold you are consecrated unto me with this ring in accordance with the law of Moses and Israel’). The head of the Šiauliai Ghetto howled with laughter at their wedding by saying that in Hitler’s eyes all Jews were already museum exhibits. He ordered a Lithuanian, who worked as a radioman, to take a picture of the newlyweds and to keep it in the archive for the purpose of a future museum of the extinct race. But the Katzs did not wait until the moment they would turn into museum exhibits or until the liquidation of the ghetto. That same year, i.e. 1943, right after the Children’s Action, Nathan with his wife Sima and his father Aron escaped from the ghetto with the help of Aron’s acquaintance Antanaitis from Rietavas and went into hiding in the environs of Telšiai with farmers Ona and Jonas Žilevičiai. It was thanks to this family’s self-denial and effort that Nathan and Sima Katz survived until the end of the war in Lithuania in 1944. One day after the war, Nathan accidentally ran into the Lithuanian radioman in Vilnius. The radioman could hardly speak when he saw the ‘museum exhibit’ walking on a street in Vilnius safe and sound, and even recovered the famous photograph. 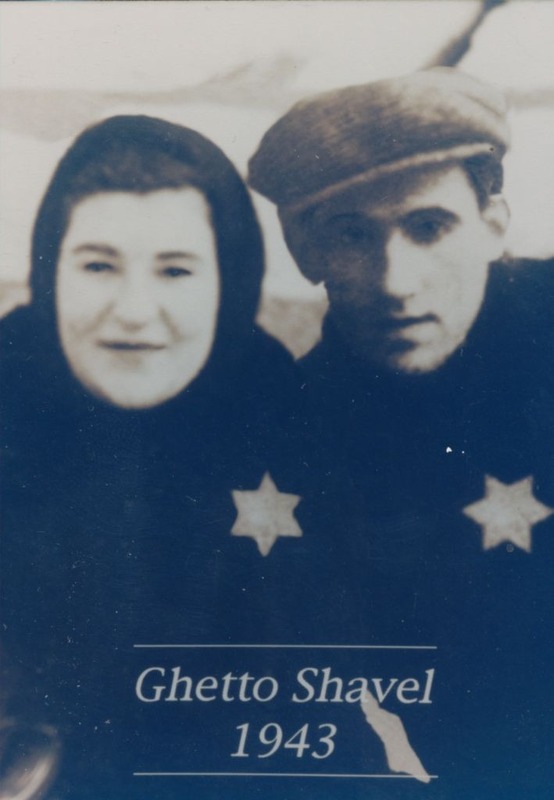 According to Nathan Katz, he and his wife Sima are probably the only couple in the world who were married in a ghetto and who have an official photo of their wedding.